Red Bull motorsport advisor, Dr Helmut Marko, has confirmed technical director James Key will not be replaced at Toro Rosso. McLaren have managed to prise the highly-respected Key away from the Red Bull junior team, but negotiations between the two outfits have been far from straightforward with regards to when Key can start working properly with McLaren. 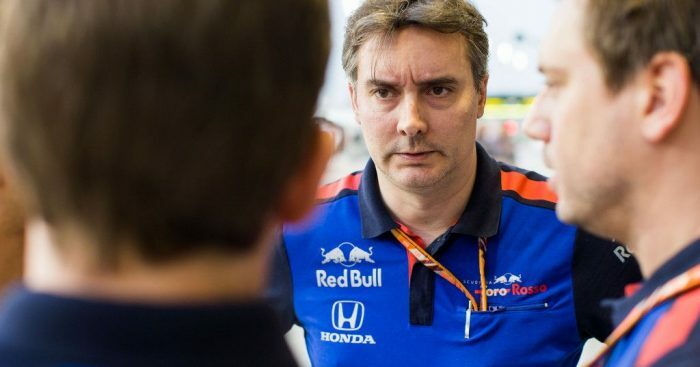 However, one thing is for sure, and that is Toro Rosso will not be hiring another technical director due to the even closer relationship being forged between themselves and Red Bull ahead of the new season. “We can’t have almost the same technical team in Faenza [Toro Rosso’s factory] as in Milton Keynes [Red Bull’s HQ] in terms of the number of people,” Marko told Motorsport.com. “The concepts were worked out. These concepts [more Toro Rosso reliance on Red Bull] have not been fully implemented to this day. “One factor was that James Key was not so happy with them. All in all, the solution we wanted is finally there. And it was easier without James Key. Marko said that the concept involves Red Bull supplying as many parts as possible to Toro Rosso to help keep costs down and allow for as less disruption as possible trying their respective pre-season programmes. “The concept is no longer a secret: Toro Rosso has received three trucks full of parts and will take over many parts of the 2018 car from Red Bull Racing, as far as the regulations allow,” said Marko. “The whole thing was made easier by the whole engine question. The complete rear end is from us, everything that is permitted according to the regulations.